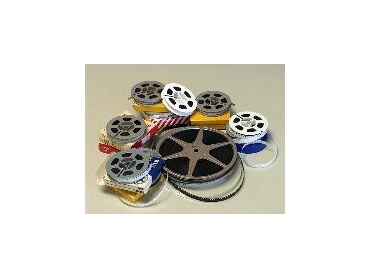 There are various ways to capture 8mm and 16mm film. Real Time or Standard Telecine tends to be a tedious and time consuming process. It produces interlaced frames that permanently contain pieces of two film frames. These frames cannot be separated into individual frames if the speed is guessed wrong prior to the transfer. Obviously guessing the speed would not happen if there was a constant watch over the projector all day, watch for any change in the speed, stop the projector, wind the film back and start the projector again. The issues like editing and colour correcting is overlooked while concentrating on speed, resulting in loss of quality and value. The frame-by-frame capture process, developed by DiskBank , provides a solution for this problem. In DiskBank’s frame-by-frame capture process, each individual frame is captured as a still image and later assembled on an individual frame of video, prior to selecting the playback rate. The correct speed is determined after each frame has been scanned through the frame-by-frame capture process, eliminating the guessing work out of the process and concentrating more on colour correcting and editing. The frame-by-frame capture process eliminates flickering, hot spots and burnt out frames (which can sometimes happen while using real time or standard telecine units). The main benefit of this frame-by-frame capture process is the viewer will see 10% more of the film than viewing them on a normal projector.